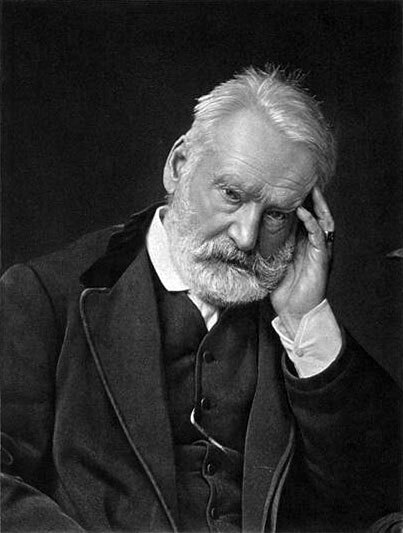 20 January 1864, Victor Hugo declined the invitation of Hepworth Dixon, editor of the Athenaeum, to join the London Shakespeare Committee, because they had taken too long in asking his son François-Victor to join. Six letters exchanged with Louis Blanc relate his involvement in the Tercentenary celebrations. On 11 April, Hugo’s friends decide the foundation of a “Comité Shakespeare” with George Sand, Auguste Barbier, Alexandre Dumas, Berlioz, François-Victor Hugo, Michelet, Théophile Gautier, Littré, Paul Meurice, Leconte de Lisle, Laurent Picha, Michelet, Paul de Saint-Victor, and want Hugo to preside a banquet on the day of the anniversary. This causes violent reactions in the newspapers, including a furious letter from Baudelaire in Le Figaro, who accuses the Hugo clan of making all this noise to promote François-Victor’s translation of the complete works, and trying to turn Shakespeare into a socialist. The banquet is cancelled, causing George Sand to denounce Bonaparte’s government as backward in Revue des deux mondes. Hugo’s preface to the translations grows into a full independent volume, William Shakespeare, and is published that year (read extract).